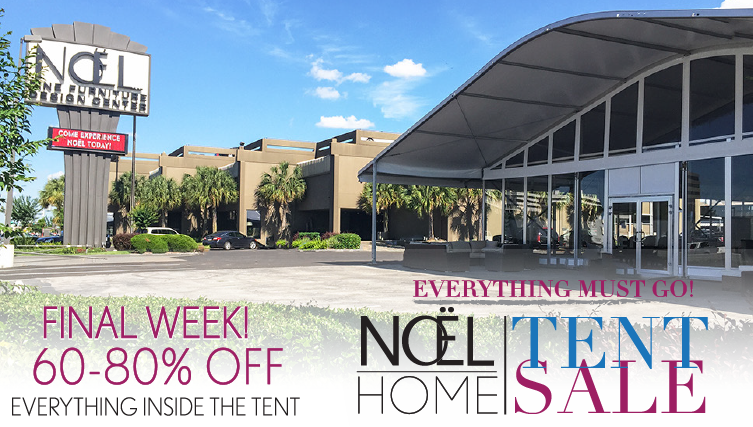 The Noel Annual Tent Sale: FINAL WEEK! Save 60-80% under our amazing tent for the FINAL WEEK of our annual event. Savings storewide as well. Noël Furniture’s Biggest Sale of the Year. Final Week!